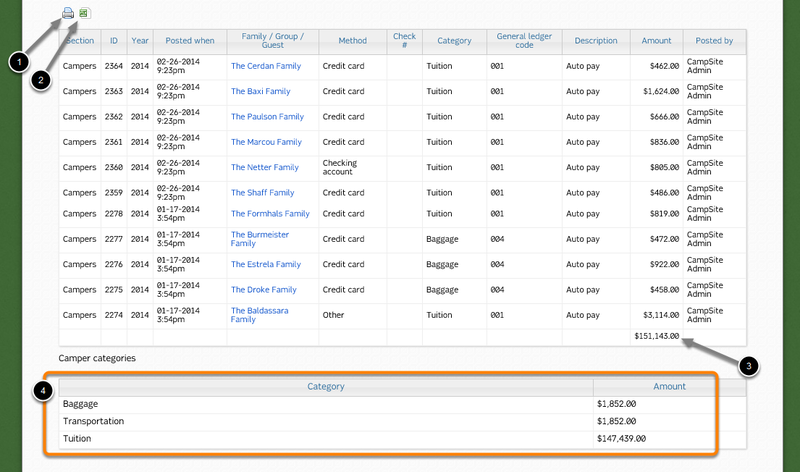 The Deposit Report displays all payments as line item transactions, and totaled by transaction category. 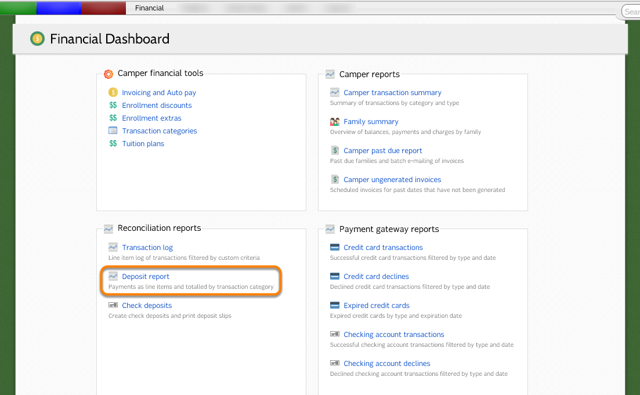 The Deposit Report can be accessed through the Reconciliation Reports section of the Financial Dashboard. 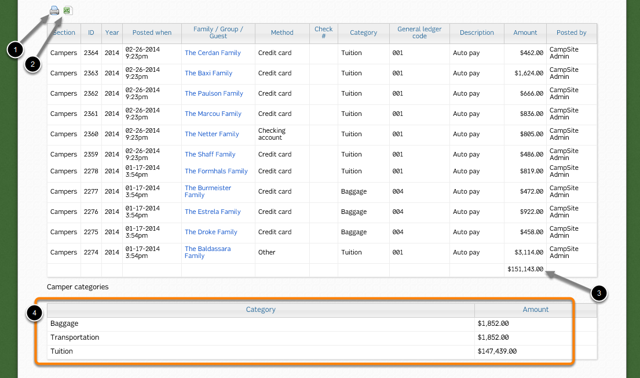 The payments matching the criteria will display.